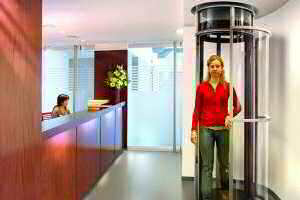 Vimec home lift is the solution for well-being. 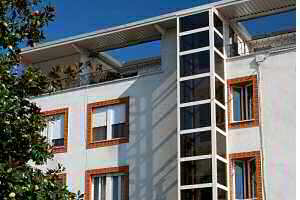 Comfortable and safe, it adapts to every application and can increase the value of the property. Silent and elegant, giving solutions for access from one floor to another suitable for, shopping bags, buggies and any other heavy object, both inside and outside the home. Always tailor made, available with a wide range of customisations. 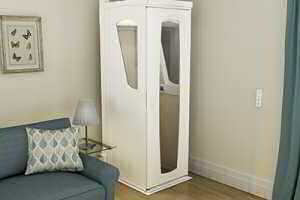 ECOVimec is the unique technology homelift:electrically powered, environmentally friendly due to the absence of any type of oil, with innovative technical solutions, silent operation and stylish elegance to enhance the value of your home. Perfect for both indoor and outdoor installation. It’s an exclusive solution because it’s the only product on the market without additional space requirements (machine room). Easy Move is a homelift that has been employed in several thousand installations in Italy and other countries: a tried and tested solution for all needs for movement in the home or in public premises, ideal for both interior and exterior installations, with a wide range of personalizations to enhance the value of the home. 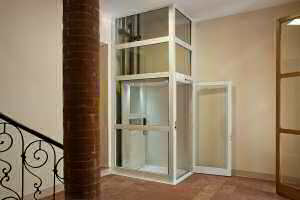 Easy Move is a homelift that has been employed in several thousand installations in Italy and other countries. A robust and versatile, to overcome level differences up to two metres. A robust and versatile Vimec platform lift, ideal for wheelchair users and others to overcome level differences of up to two metres in height. Suitable for both interior and exterior installations, the product is available with different platform sizes and is ideal for disabled persons and seniors in the home, the office or public premises. 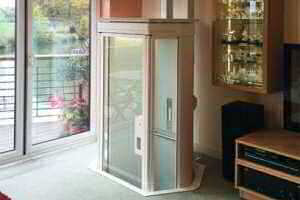 Silver is the flexible and practical Vimec platform lift, ideal for allowing persons with restricted mobility and wheelchair users to overcome level differences of up to one metre in height. Suitable for both indoor and outdoor installation, the product is available in a stainless steel finish and with different platform sizes and is ideal for disabled persons and seniors in the home, the office or public premises.